Please Note This is NOT a mutator, it is a new game type. 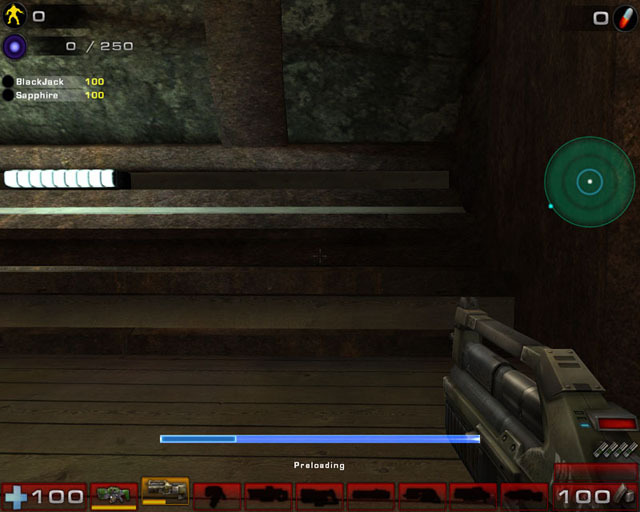 InvasionPro is a new game type for Unreal Tournament 2004. It is based on the popular Invasion game type. For those people accustomed to the Invasion game type, InvasionPro will feel very familiar. InvasionPro takes Invasion to the next level. It addresses dozens of problems inherit to the classic game type and introduces many new and exciting features. 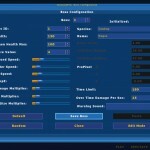 InvasionPro’s main new feature is the addition of Boss waves. Boss waves are special waves in which only one Boss monster will spawn. This boss must be defeated to continue the invasion. If you like InvasionPro please consider making a donation. 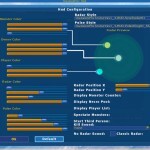 Latest Version Changes – InvasionPro is a new game type for Unreal Tournament 2004. It is based on the popular Invasion game type. For those people accustomed to the Invasion game type, InvasionPro will feel very familiar. InvasionPro takes Invasion to the next level. It addresses dozens of problems inherit to the classic game type and introduces many new and exciting features. 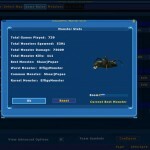 InvasionPro’s main new feature is the addition of Bosses and a pet feature. 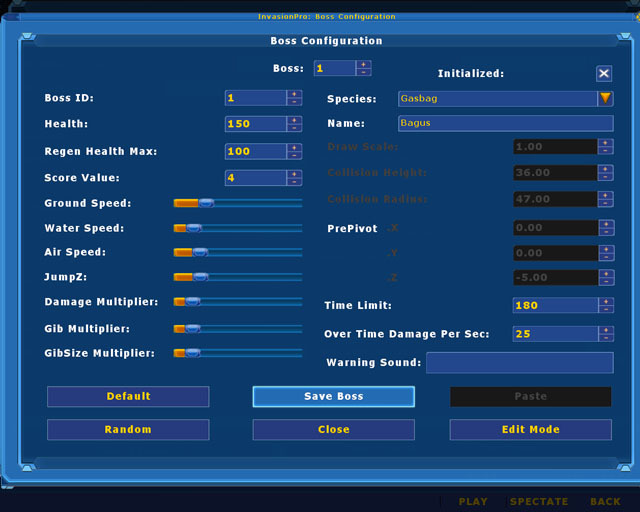 Most of the GUI menus have also been redesigned. * Bosses, these can be spawned either one at a time one after the other or all at once. To set them up add boss lines in the InvasionProSettings.ini file (the boss lines can be empty). The new boss entries will then be available in the in-game boss menu. Give the boss a unique “ID” number and make any other changes to it that you want, such as a name or speed. 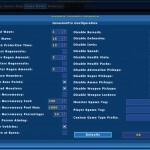 In the Waves menu check the boss wave box and set any other settings you want for the wave. In the boss ID field put the ID of the boss you created. Separate them by a comma if you want more than one boss. For example 1,2,3. In the above lines TierGroup 1 (the first level) is until the pet gets to level 2, TierGroup 2 is then available until level 120 and so on. * Online Player Names and Health displaying correctly. * Game end early if QuickStart enabled fixed. * Boss squad feature added. * Boss spawning options added. * Support for 2D Monsters has been added so they can properly previewed. * A new “Wave Copy & Paste” (in the wave menu) feature has been created to make editing waves easier. * Simplified wave ending rules, admin decides if it’s strictly the wave duration or monster count. * Boss timer and boss name on HUD changed and can be disabled in HUD menu. 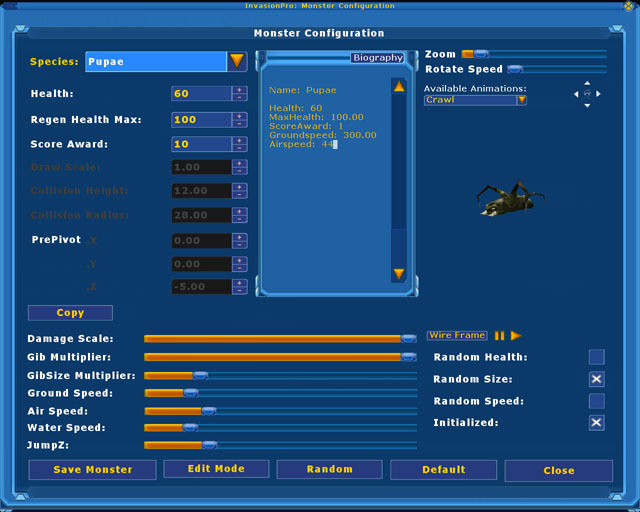 * Boss health bar feature added for monsters within radar range (can be disabled in HUD menu). * Boss Names and Friendly Monsters names will appear above the monsters in question (can be disabled in HUD menu) . You must read the manual included for instructions on how to set everything up. Hey, just wanted to say that this is my favorite Invasion mod for UT! By the way, have you thought about expanding on the Pets system? Like being able to set up evolutionary paths for specific monsters, Brutes to Behemoths and Mercs to Elite Mercs for example? Or adding some new Auras, even the Dekaron Monster Auras would be welcome; The Fire Aura could cause damage over time and be nullified by water, etc. Or even making the Pets system a standalone in different modes? Just throwing some ideas out there. Hovewer if I play a map where there’s already a monster set, this GT will crawl (FPS 0-4) after about 10 seconds from the start. Tried the same map, but removed the monster and no issues. first, i want to thank you for the very good job you made for this great (perhaps the most interesting monster mod) work. 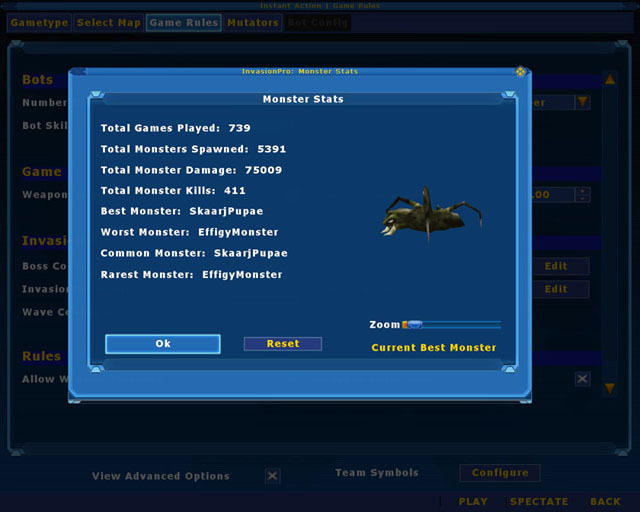 I tried to use new monster with your mode, especially tu u2creatures (http://www.moddb.com/games/unreal-tournament-2004/addons/unreal-2-invasion-monsters-beta-41) and I have some problem with some monsters: some of this are not properly aligned on the z-axis. I try to reset monster caracteristics to default but the problem remains. This problem doesn’t appear using invasion mod or invasion everywhere mutator. Apparently, save always write x,y and z new value with an incorrect z value: is it possible to remove information from the ini file? Frank – I would love to and those are some good ideas. Whether or not I will get around to that is another thing..
ix – Hmm it sounds like the error log was being flooded. Pre-existing monsters wasn’t something I checked for. mornard – That is strange and I thought I had taken into account things like that. I assume the monster classes/lines are correct in the .ini file and it’s not loading a different monsters x,y,z info. You should be able to overwrite them in the ini file. 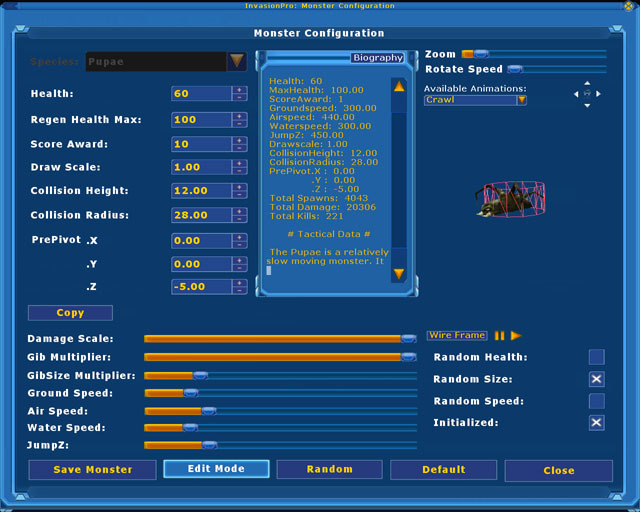 These x,y,z problems are caused when the monster is imported into the game incorrectly and then their prepivot is “fixed” using the monsters defaultproperties. If you set the prepivot to default values for the xpawn class and correct the position in the animation browser and save the package it will fix it. Just getting spawn issues on some maps. No I don’t think it would work. 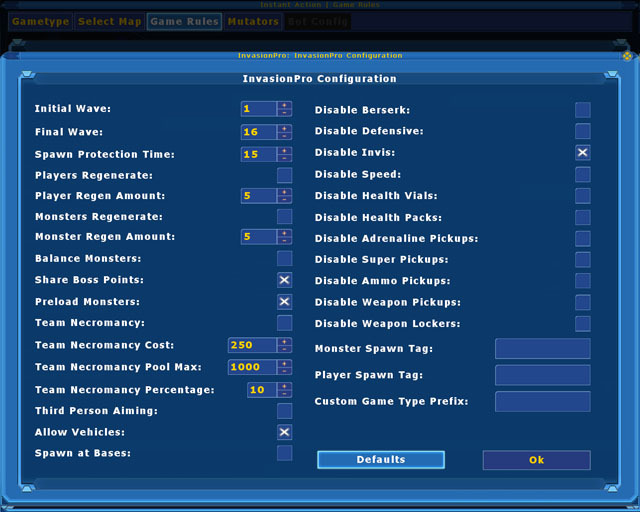 I put that option in for custom/new maps built specifically for invasion. 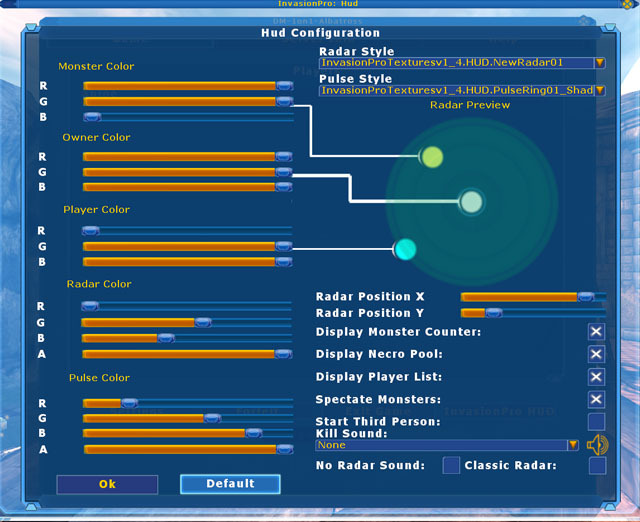 The navigation points with the matching tag are stored in a dynamic array when the game begins. But a mutator could probably change the array to store whichever navigation points you wanted it to. They tend to spawn only in 1 area in certain maps, making it too easy xD, would DruidMonsterMover be an option? I think the DruidMonsterMover just moves a monster if it gets stuck (invasionpro should do that too) unless I’m mistaken. Invasionpro gives gamerules a chance to return a spawn location (this is where you should return a spawn location with a mutator). Yep got me puzzled xD Druidmonstermover doesn’t seem to do anything either. It’s like they are spawning at bases even though that option is set to false. Even in maps that don’t have team bases lol..
All is good now. Figured out a solution. That’s the UT2004RPG mod crashing, looks like that error when bots are too high of a level, they run out of skills to buy and rpg crashes at that point. DruidsRPG has a dummy skill available just for bots, just for that reason lol. Sorry to be a bother, but I’ve gotten an issue with wave difficulty. I’ve set all wave configs in ut2004, satore(not active, but setup just in-case), and InvasionPro to have difficulty at 0.01 but past wave 16, monsters start getting crazy health boosts, which is a problem with 61 waves lol. I really can’t find any other settings in all the ini files. Any ideas or solutions to this? Worked around it by making monsters have 1 quarter of their original health, and raised early waves difficulty. Sloppy but balanced it more. Piercing and vorpal weapons are also there when it gets too impossible lol. I think I added some random options that could be enabled for monsters. Try adding these options to the monster lines…. is 30 monster types per wave really the max or i can add more? It could probably be redesigned to take more (the in game config menu would need a complete overhaul), but yes 30 is the limit. So where exactly in the InvasionPro ini file do I put the MonsterTable= lines? I ask because the readme file only says to put them in the ini file, but never mentions what section they need to be in. when i try to add a new monster to InvasionPro, for example 2009Barnacle.u and when i add the monster table line of the new monster to the InvasionProSettings.ini file, i can’t edit the new monster in the invaders options menu. all it shows is the name in the list but i can’t edit it at all. it says it’s “offline”. maybe you know what i did wrong. and now to the 2 suggestions i’d like to show you. maybe you could make an entry in the wave configuration menu which will be called “Random” and which will affect that it will spawn a random monster. so if you have more than 30 monsters installed that you don’t always have to reedit all the waves to be able to use all monsters. i really hope there will be something like an InvasionPro1_8 or maybe even 1_9 😀 keep up the good work! oh and if you ever read this thread again and be thinking of making a new version of invasion pro maybe you could make an option to disable the feature that let monsters spawn from a new spawn point when they are not dead yet. and another feature that i miss from versions like 1.4 – 1.6 is compatibility with fhi maps so that monsters would spawn from their respective spawn location (opposite of player’s spawn location).